We caught up with Emerald Ambassador, Darren Holden to show him our 12-string short scale, the Amicus Artisan. The High Kings have been going from strength-to-strength and following an incredible 2016, the new year promises to be even better with dates already selling well for the United States in March. While at home Darren has been having fun trying out the short scale 12-string. 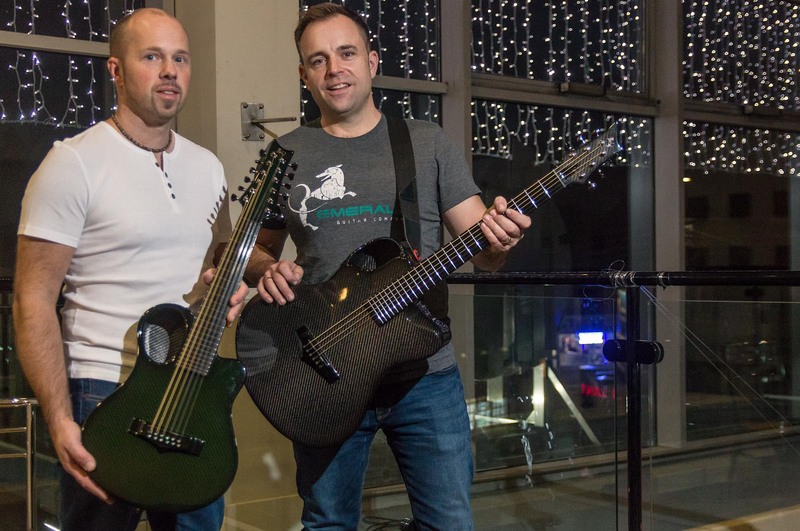 When the High Kings’ date at nearby An Grianan Theatre, Letterkenny, came up, we caught up with Darren and also introduce him to our 12-string short scale, the Amicus.